As one of the UK’s leading battery pack assemblers, we offer the Duracell battery range in full. 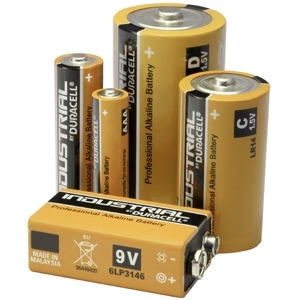 Duracell batteries are predominately used in our alkaline Custom Battery Packs. Our aim is to offer you the best battery pack solution incorporating the latest battery technologies from Duracell to give you more power for longer at a great price. Note: Some of our Duracell range will be listed on our consumer website Budget Batteries. The Duracell Brand has been widely recognised for many years. Rest assured that all the Duracell product that Cell Pack Solutions uses in some of its Custom Battery Packs have only been sourced though the recognized Distribution channels. As a matter of policy we always avoid the grey market product that often finds it way into the UK. Duracell originated from the partnership of Samuel Ruben and Philip Rogers Mallory, who met during the 1920s. The P.R. Mallory Company produced mercury batteries for military equipment proving much better than the carbon-zinc batteries used then in virtually all applications. In 1964, the term "Duracell" was introduced as a brand. The name itself is a portmanteau for "durable cell." The company was subject to being bought quite a few times until finally in 2005 Procter & Gamble acquired Gillette, who were the owners of Duracell at the time.